Women dancing during the Teej festival at Pashupatinath in the Kathmandu Valley. 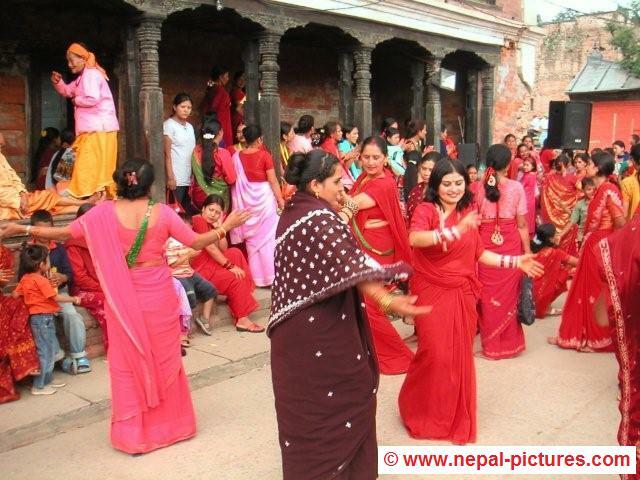 Picture of women celebrating the Teej festival at Pashupatinath in Kathmandu. Photo of a little girl giving the Bhai Tika to her brother during Tihar festival, both children being helped by family members. 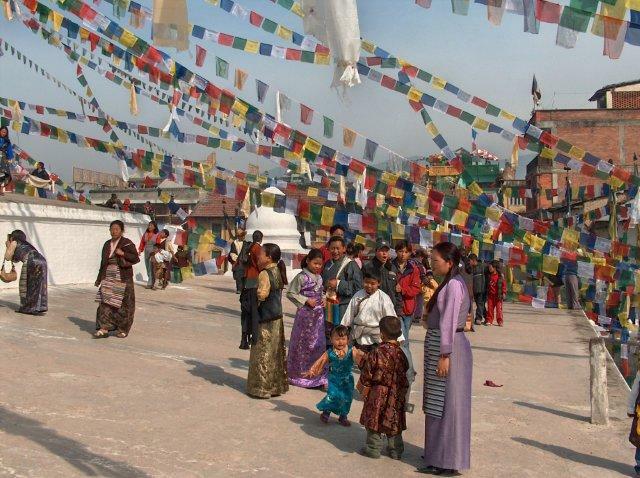 Tihar festival is the second largest festival of Nepal. The Bhai Tika consists of seven colors all having different meanings and connotations, but the main purpose of giving the tika is to extend the longevity and prosperity of one’s brothers. In 2018 Bhai Tika will be celebrated on November 9. 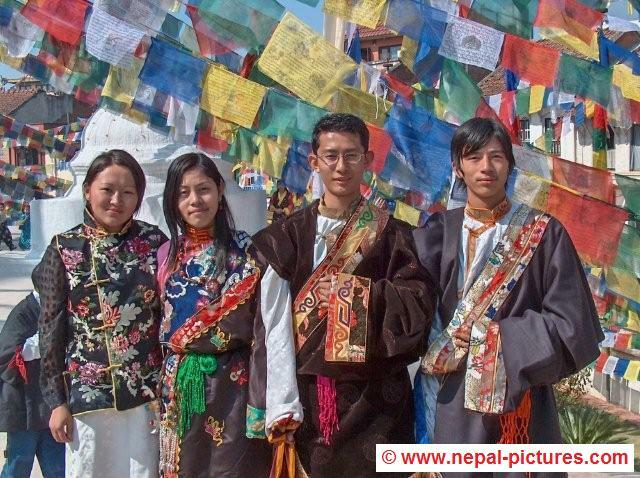 Youngsters wearing traditional clothes during the celebrations of the Losar festival in Bouddha. 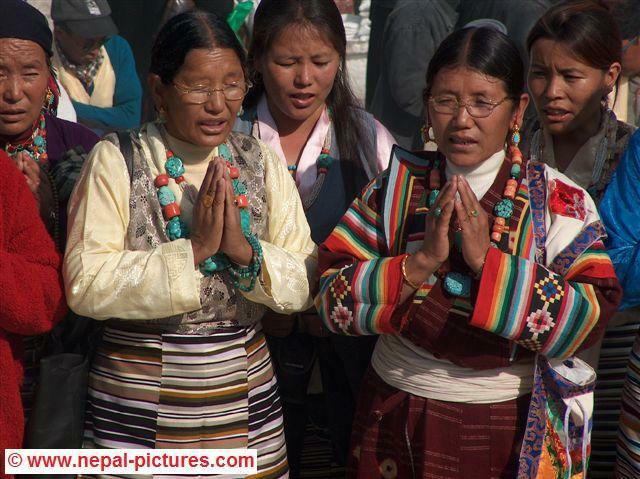 Traditionally dressed Tibetan women during the celebration of Losar Festival in Bouddha.